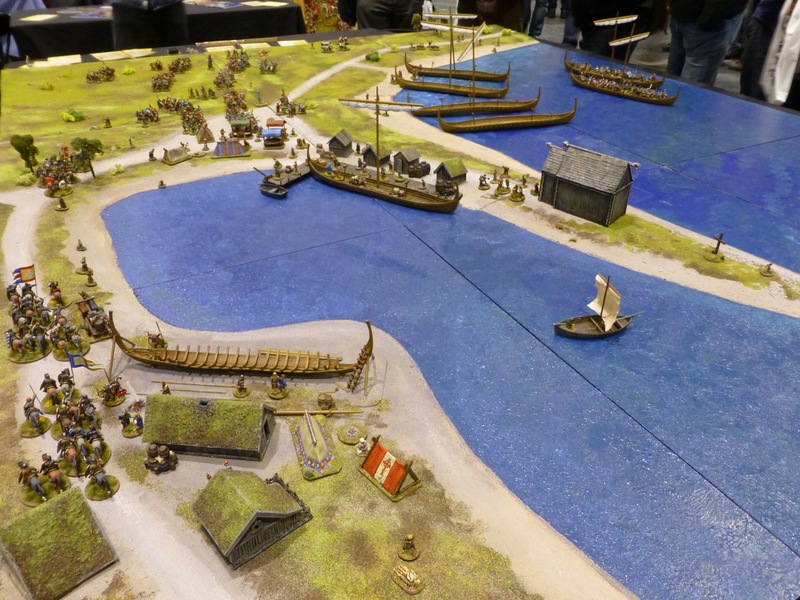 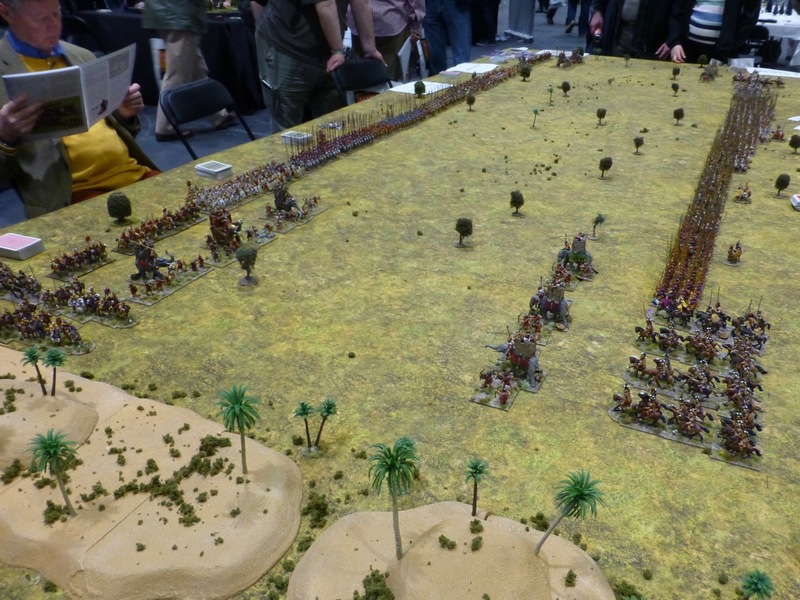 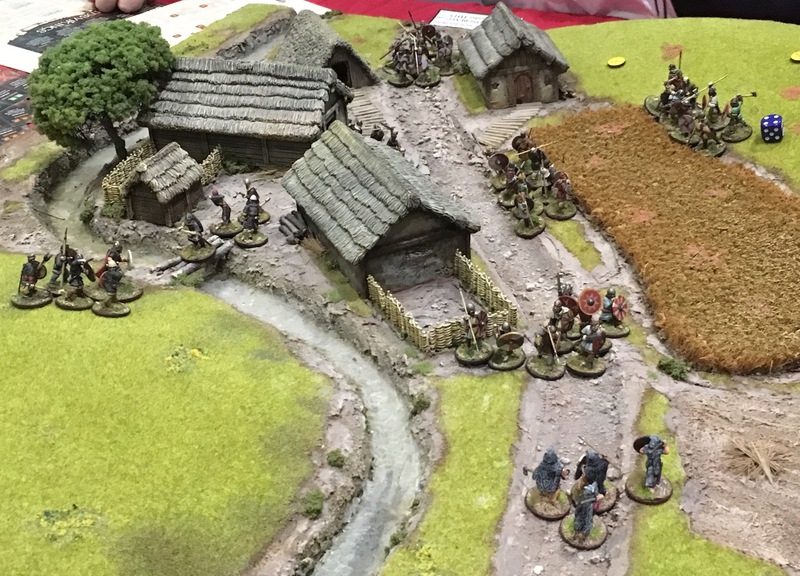 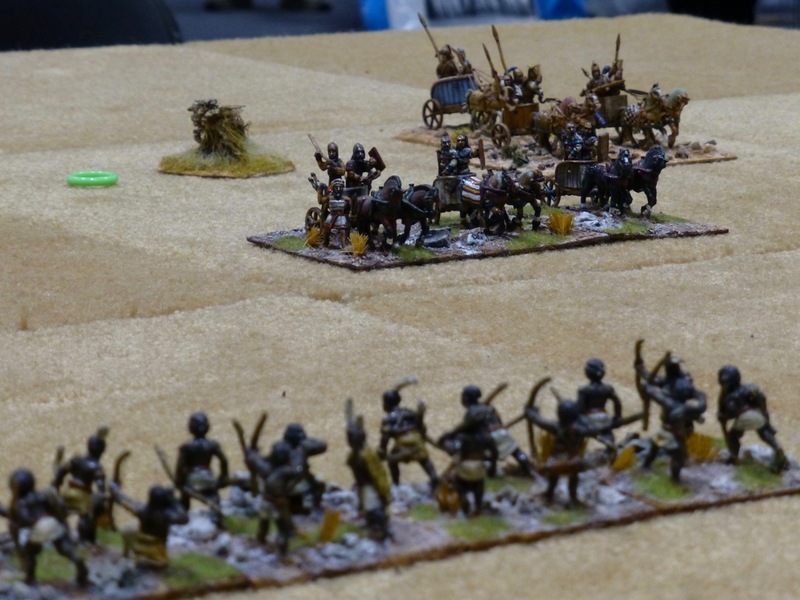 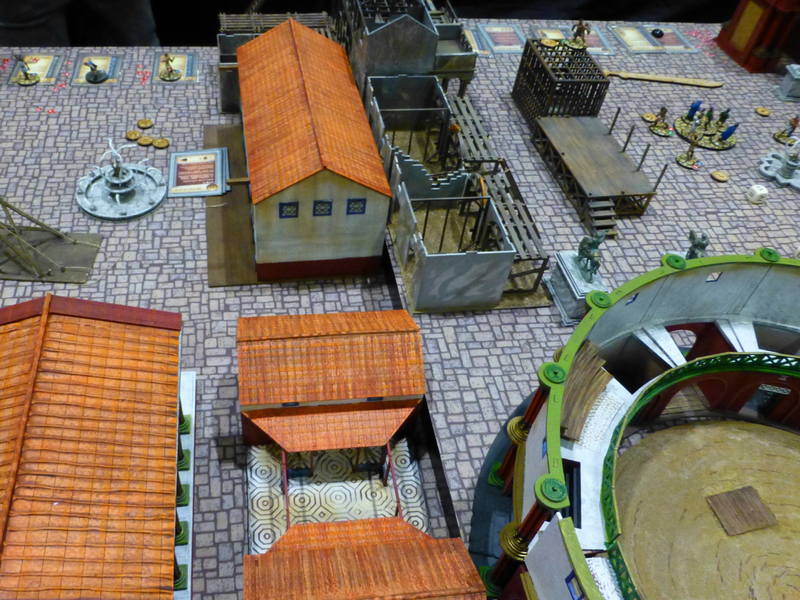 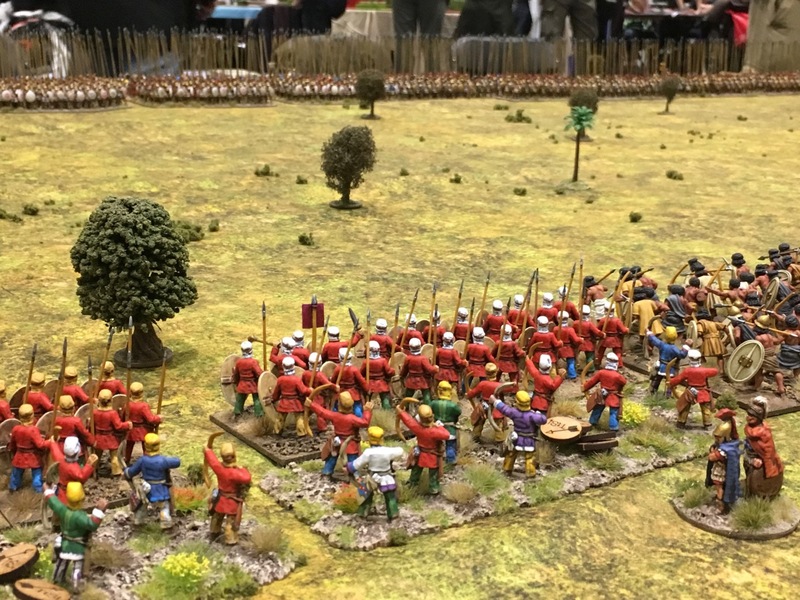 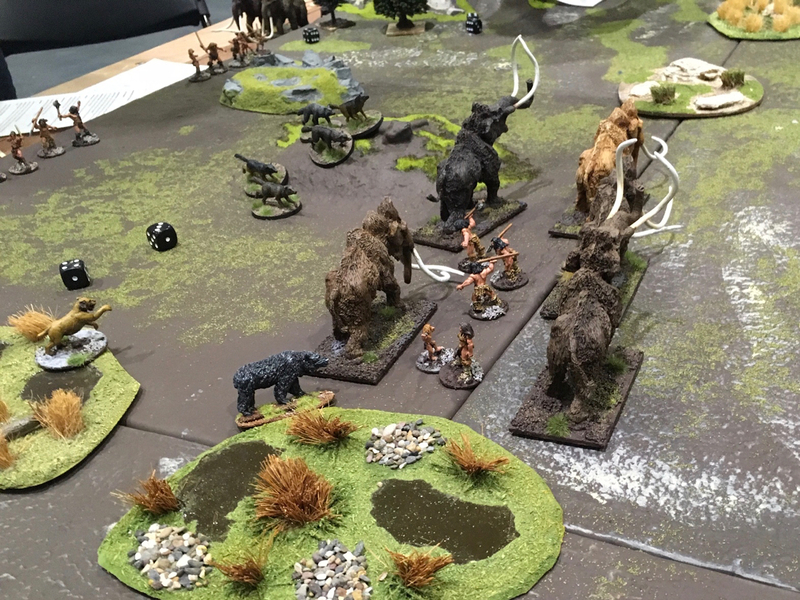 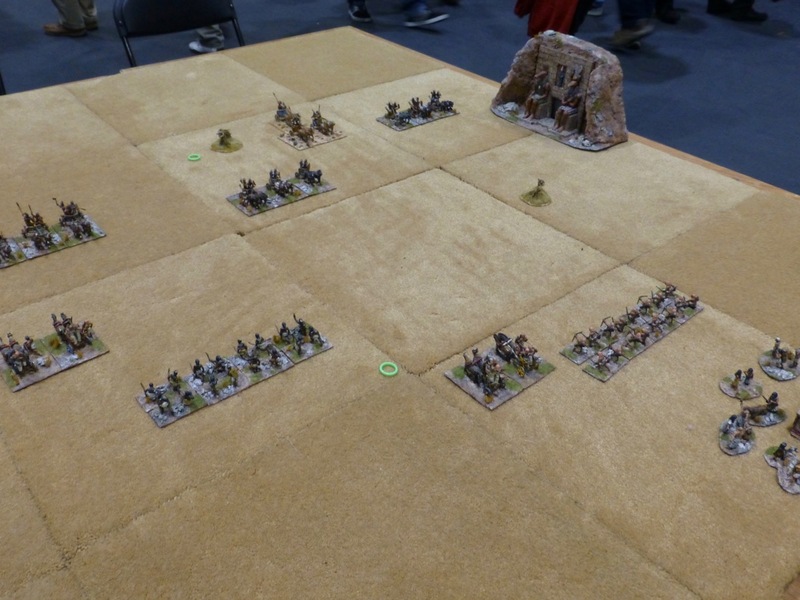 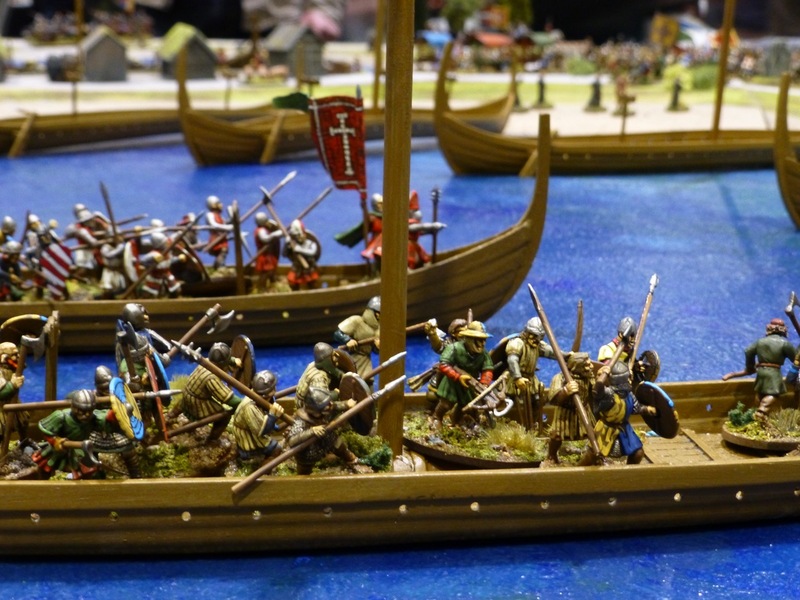 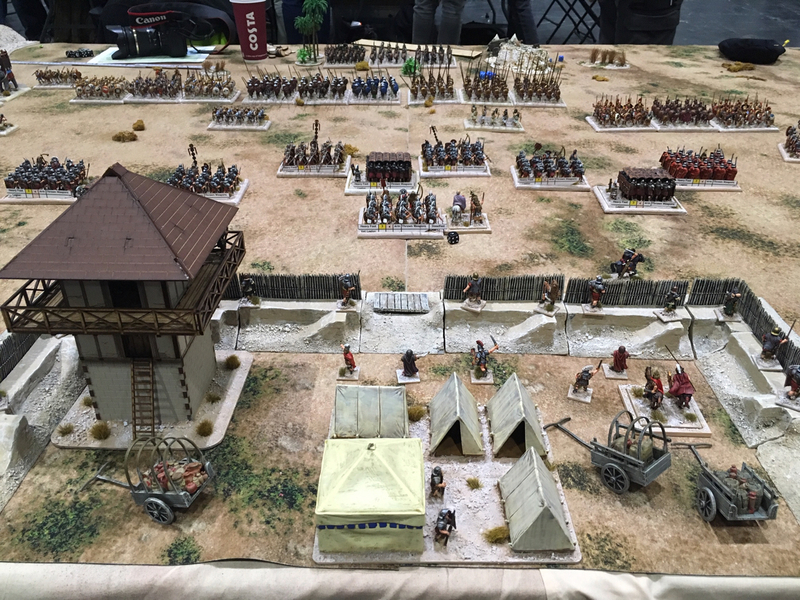 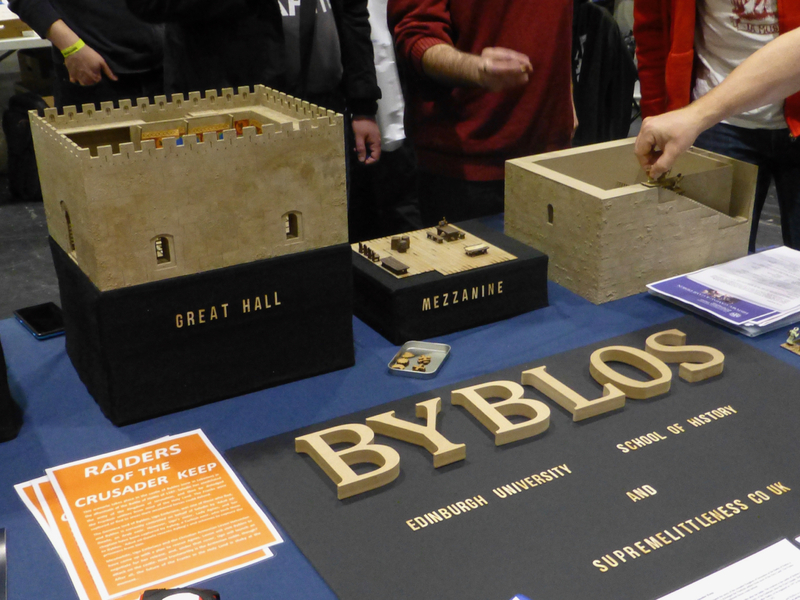 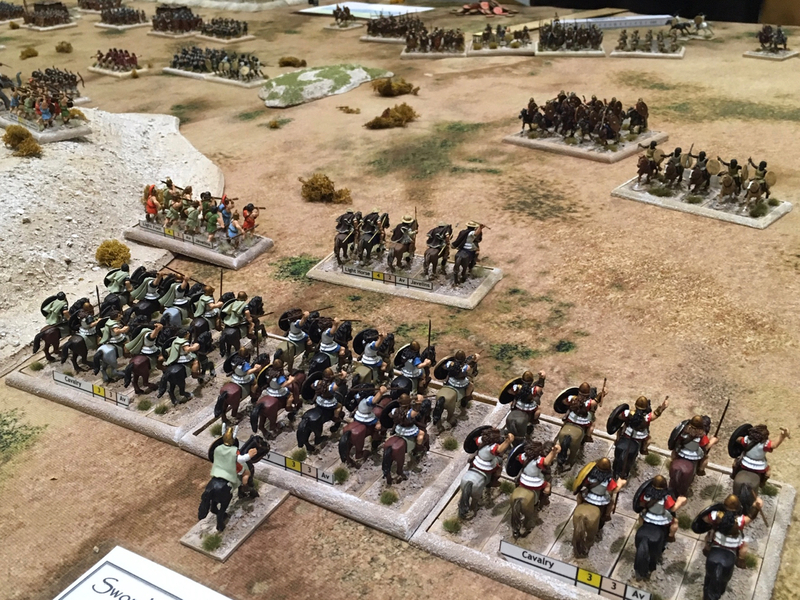 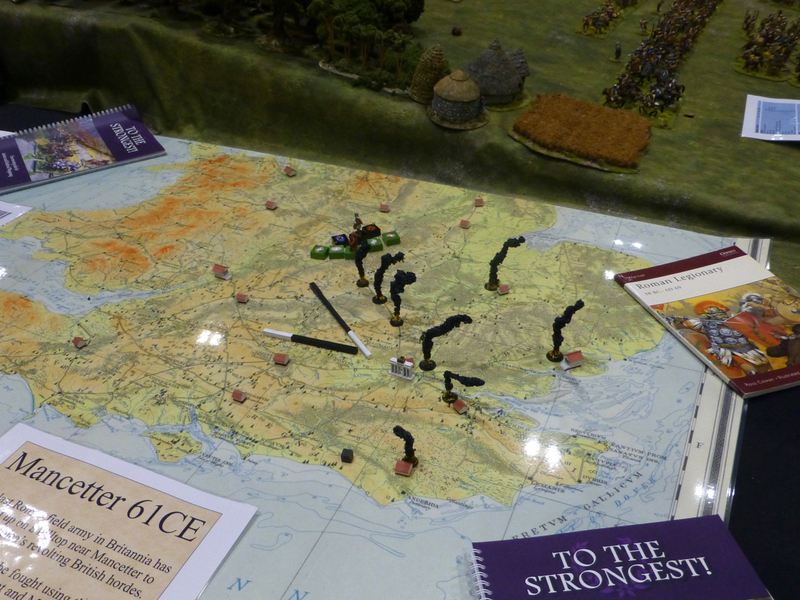 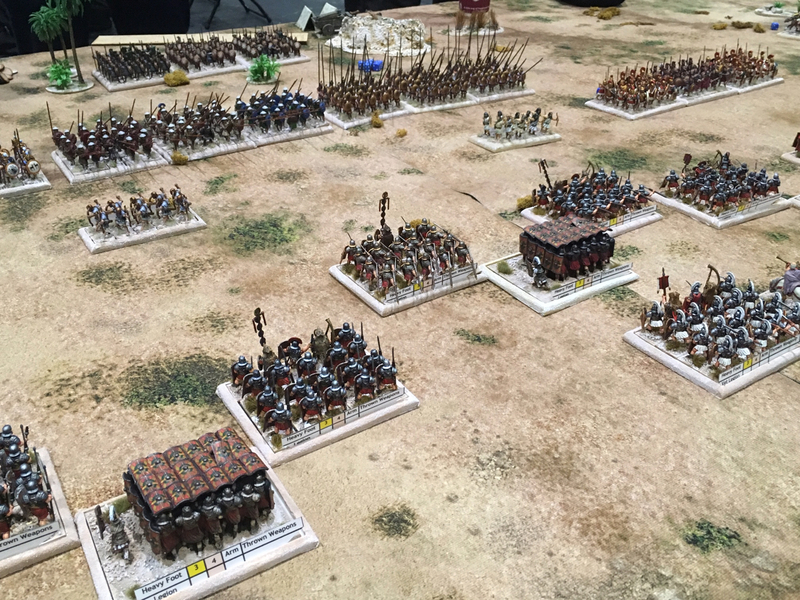 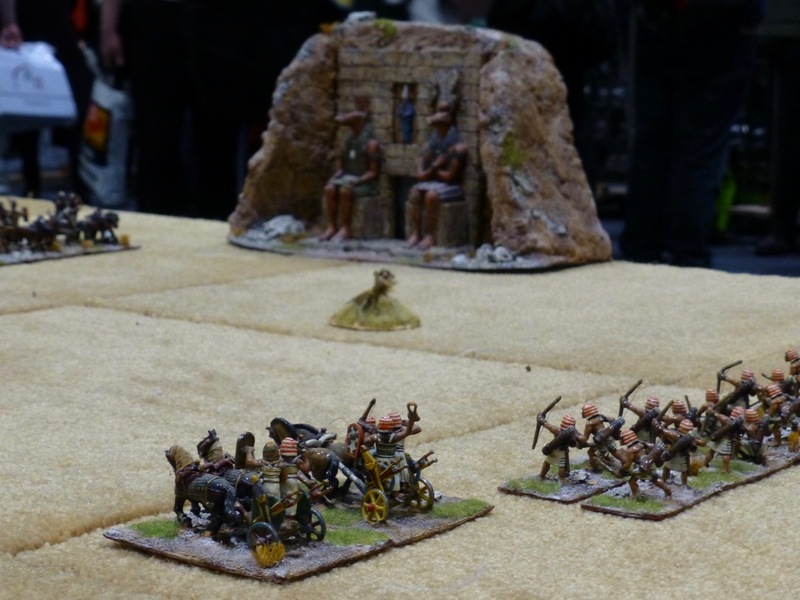 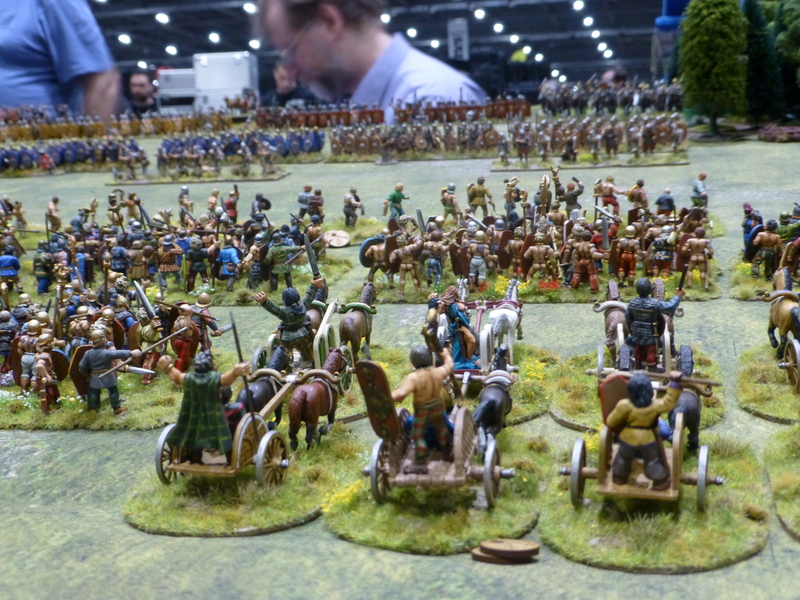 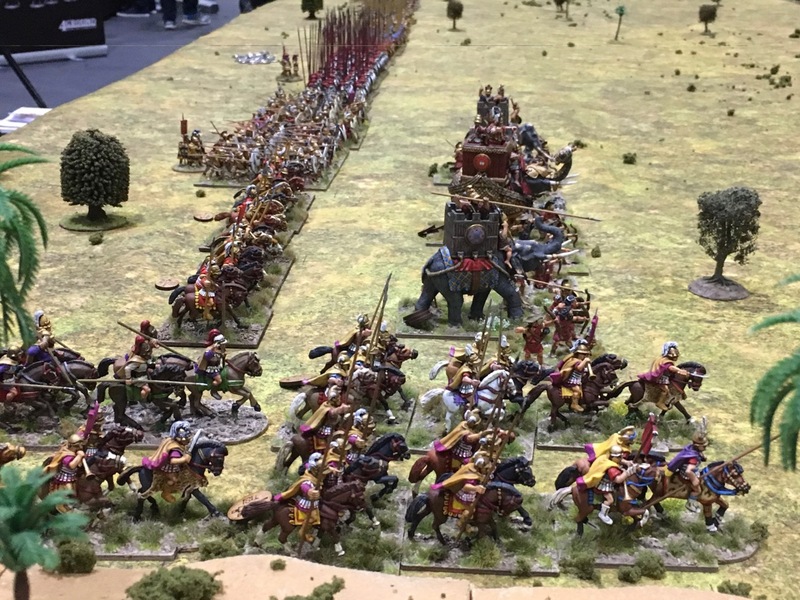 Since I am working on Achaemenid Persians at the moment, I was pleased to see several battles from the era reenacted on the tabletop at Salute 2018. 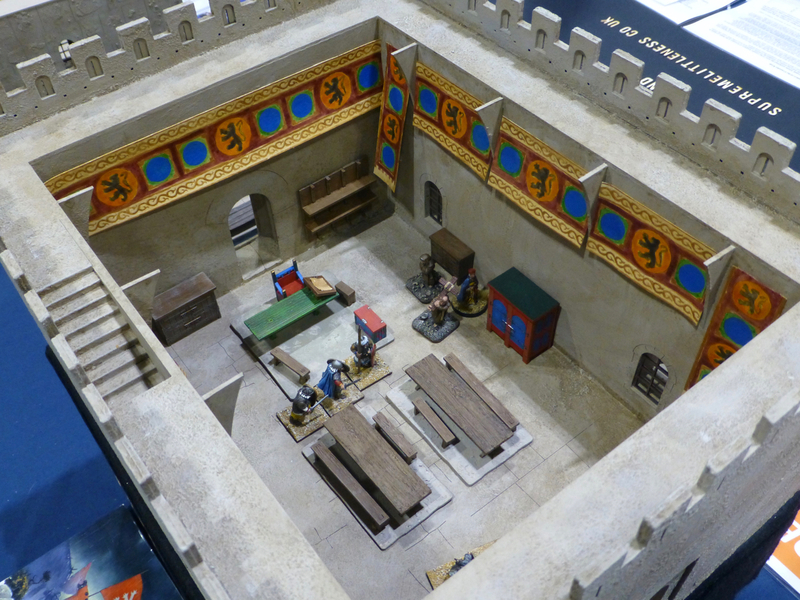 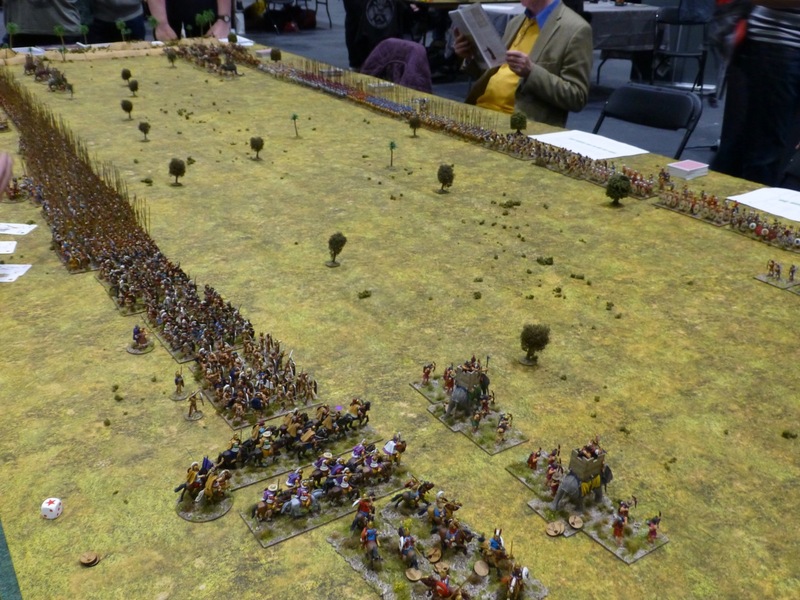 Newbury & Reading Wargames Society staged the Battle of Ipsus in 301 BC during the wars of Alexander’s succession. 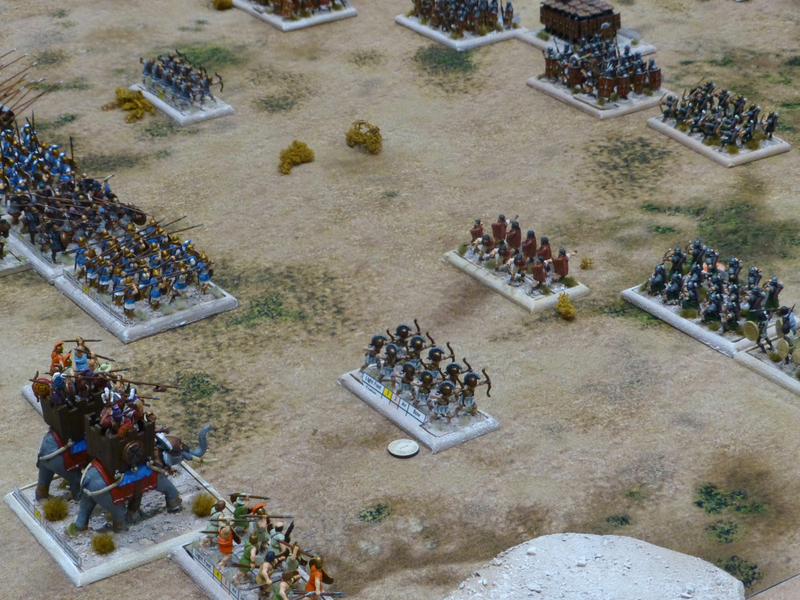 The Battle of Paraitakene in 317 BC between the forces of Antigonus and Eumenes was fought out by the Society of Ancients. 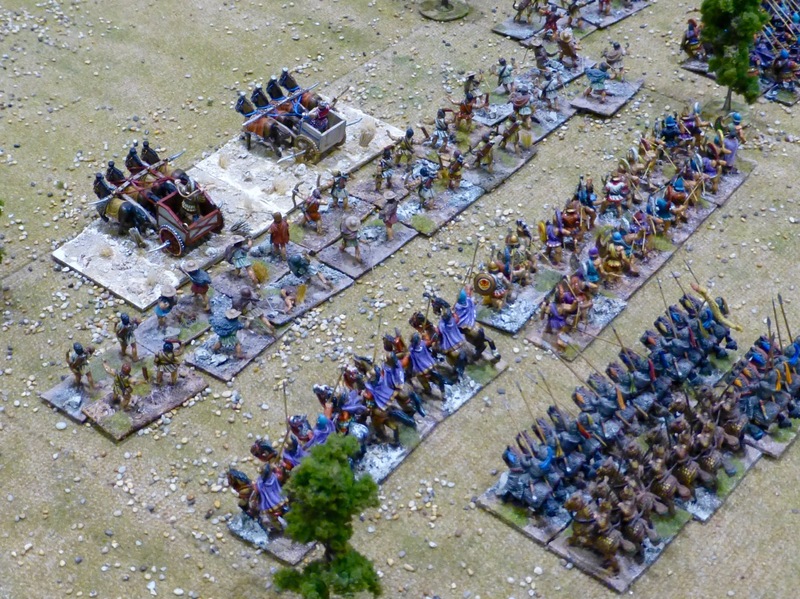 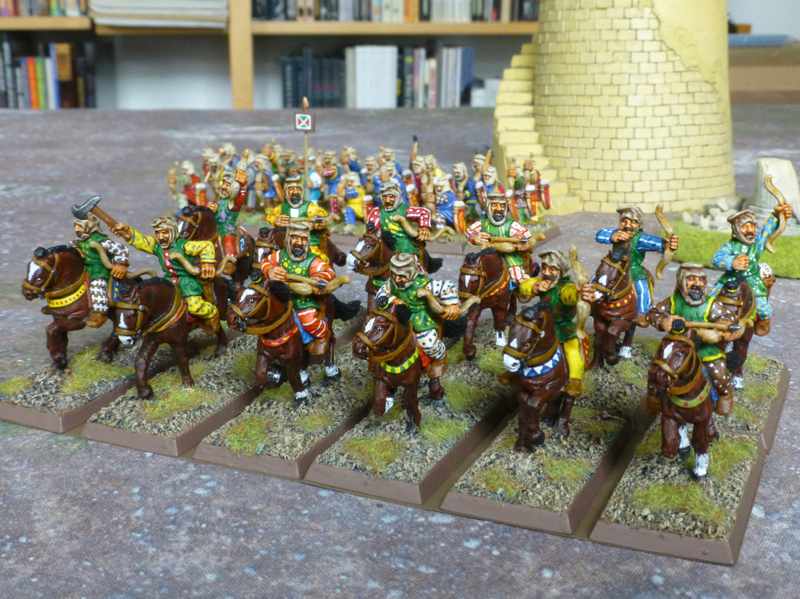 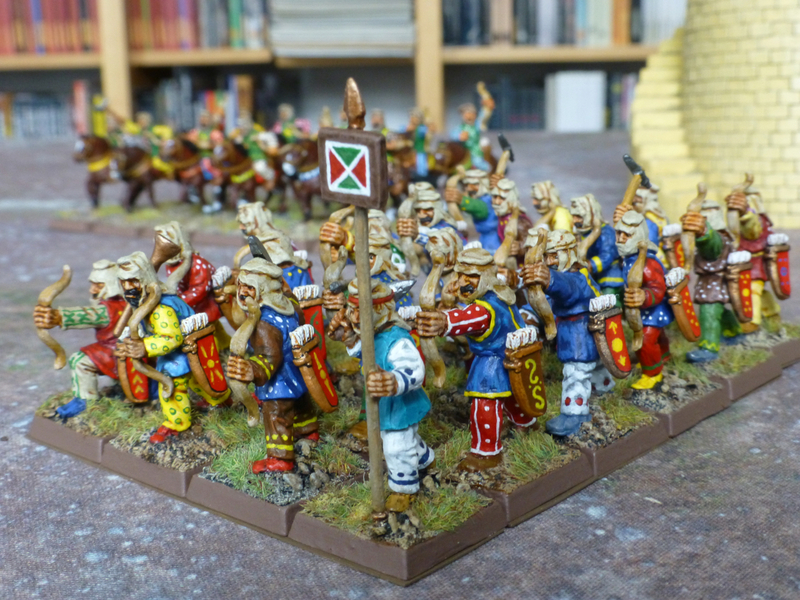 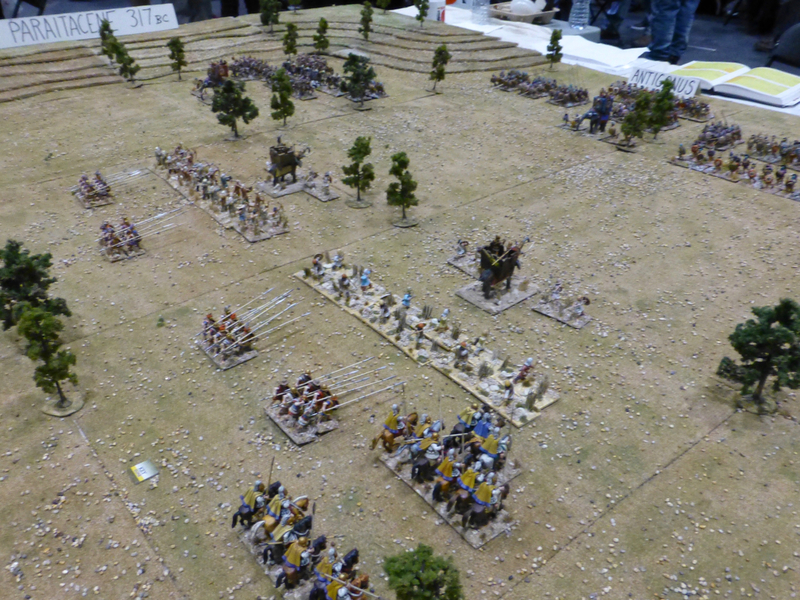 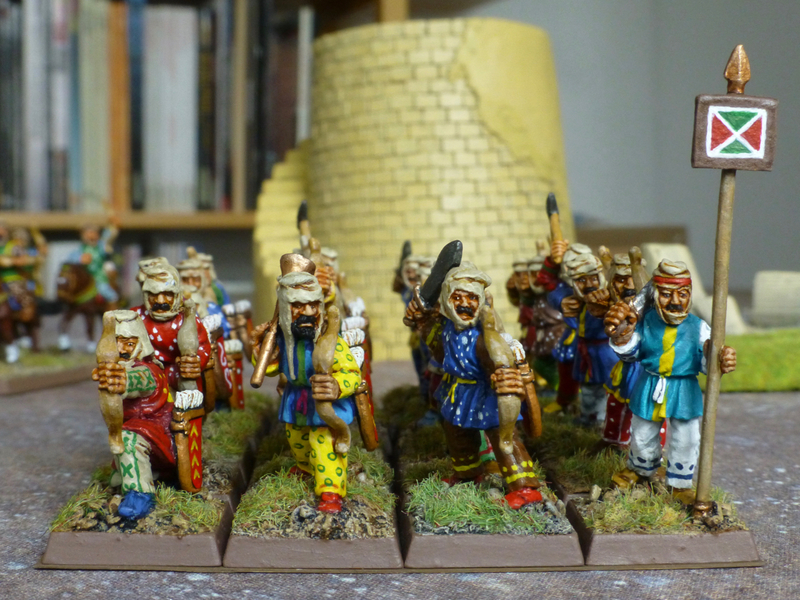 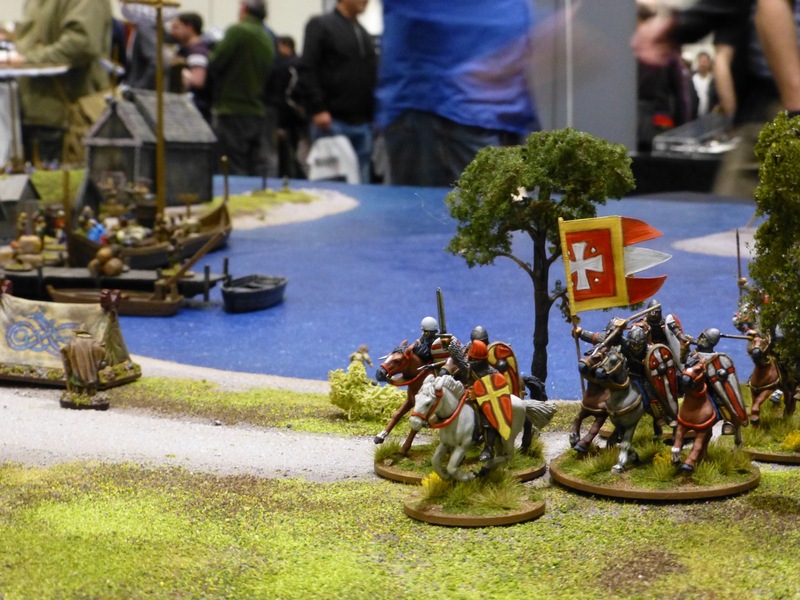 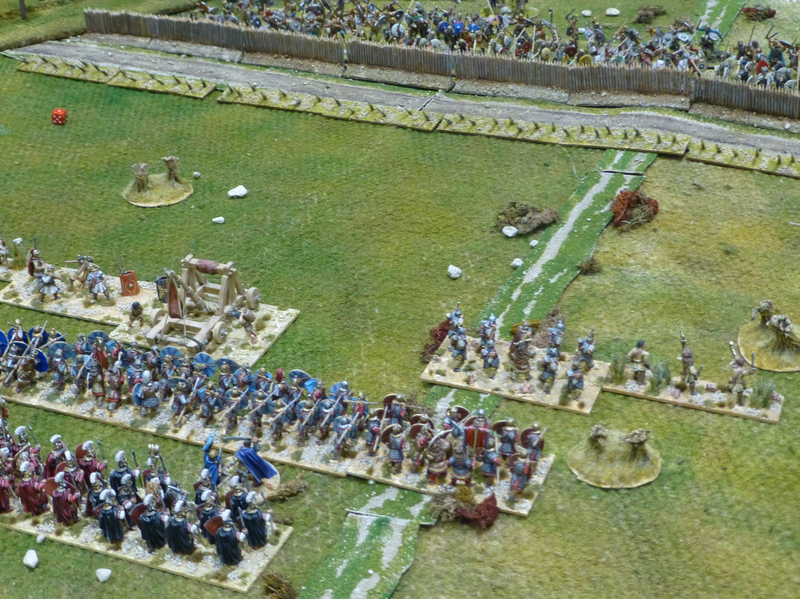 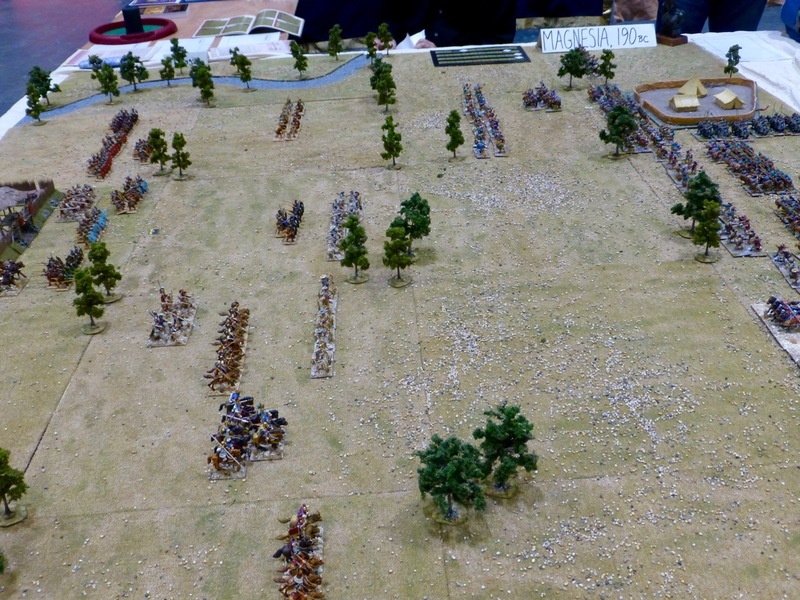 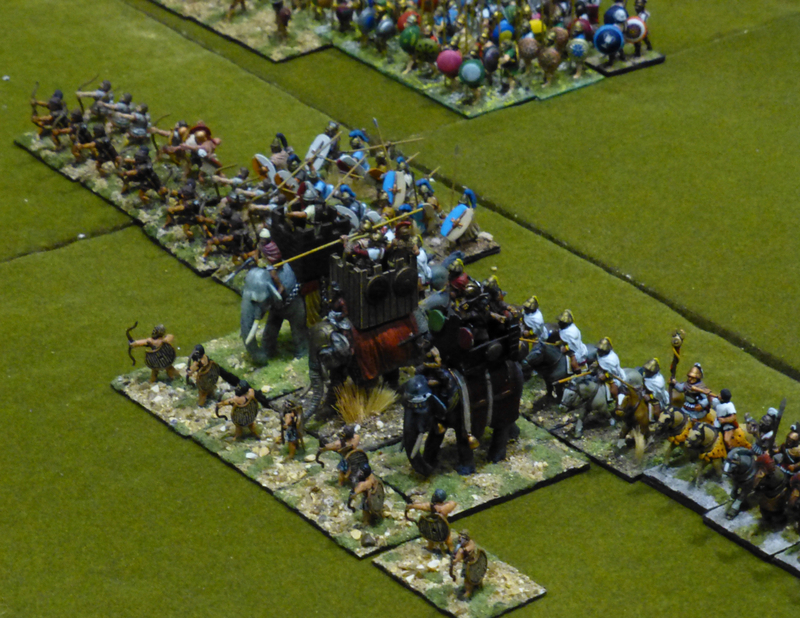 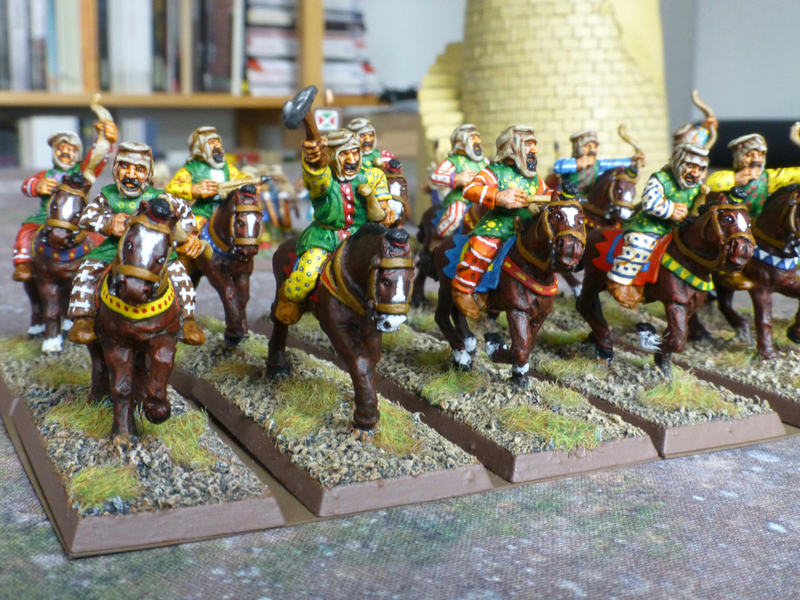 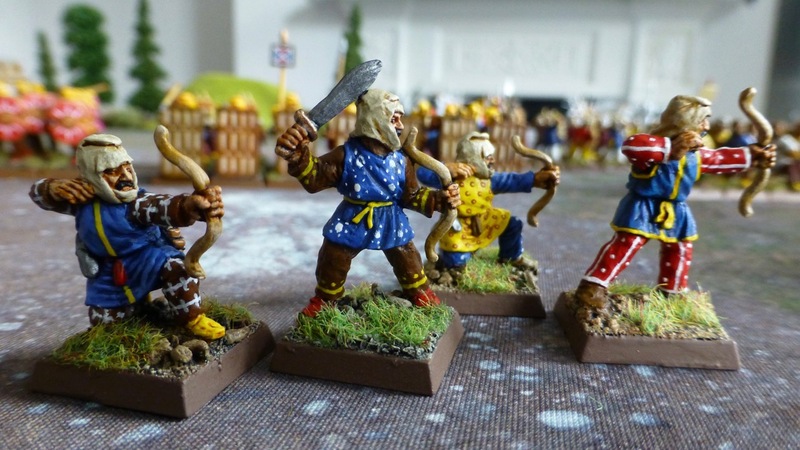 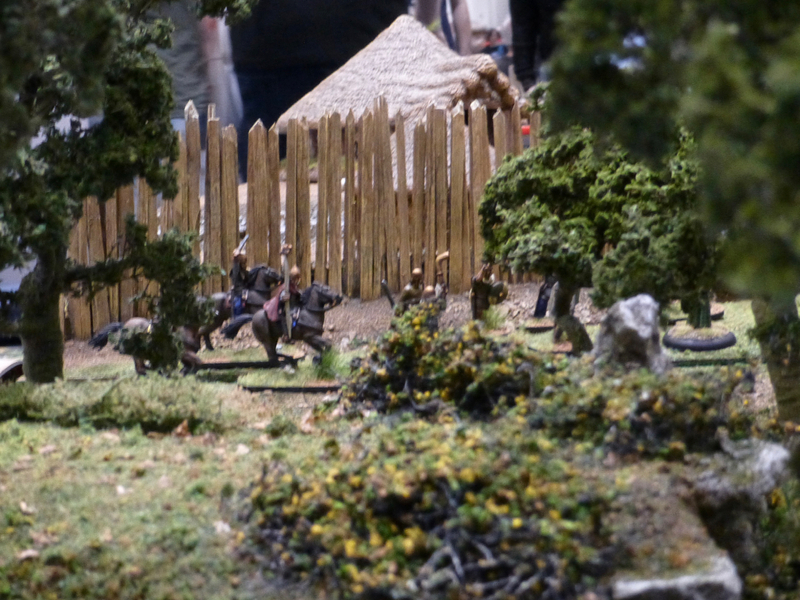 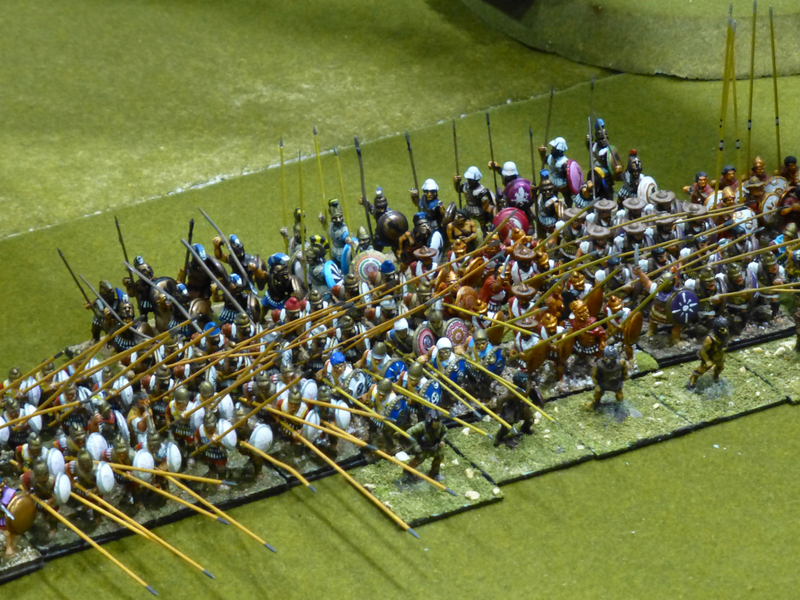 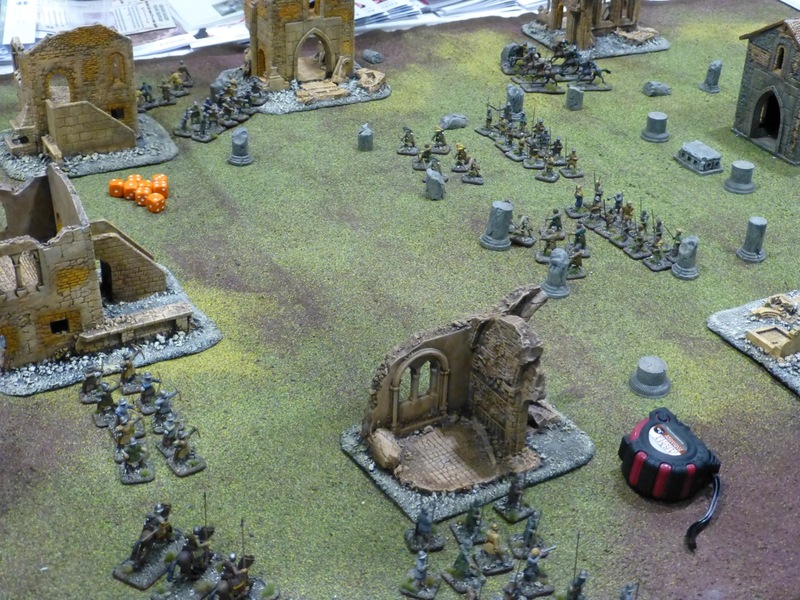 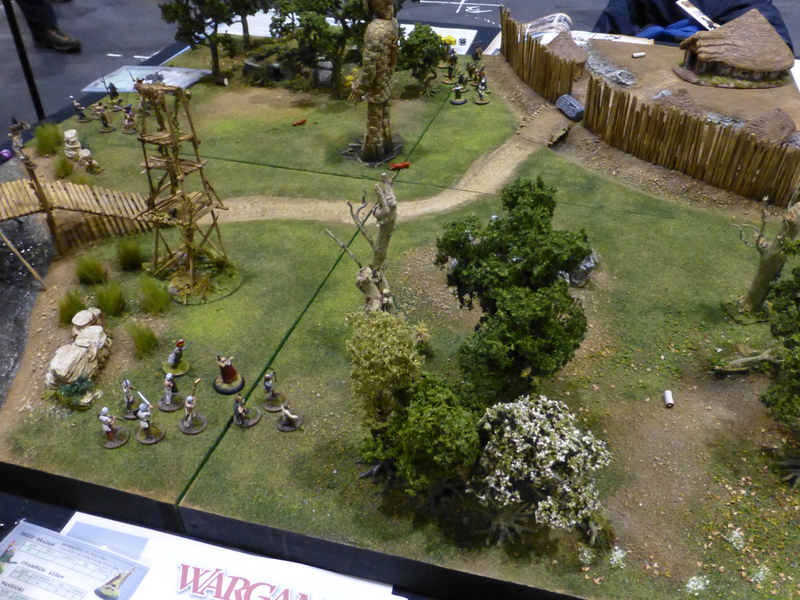 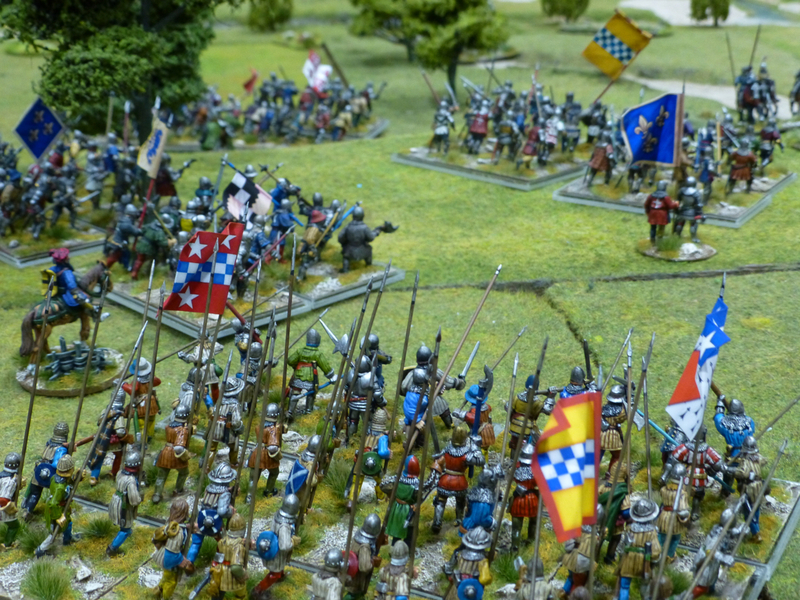 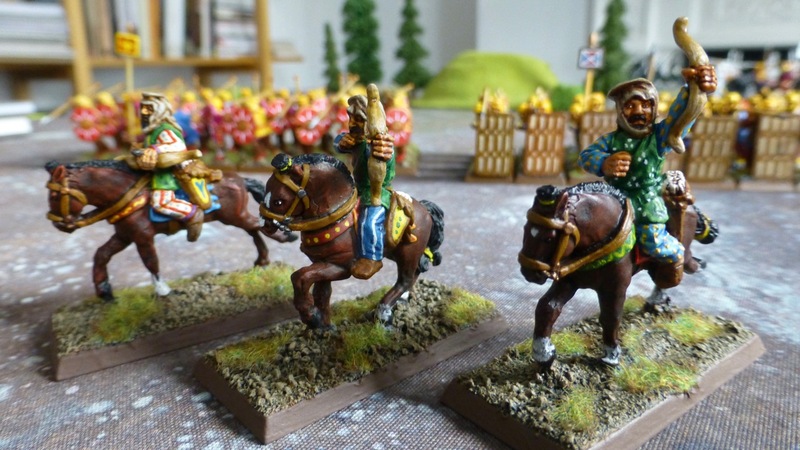 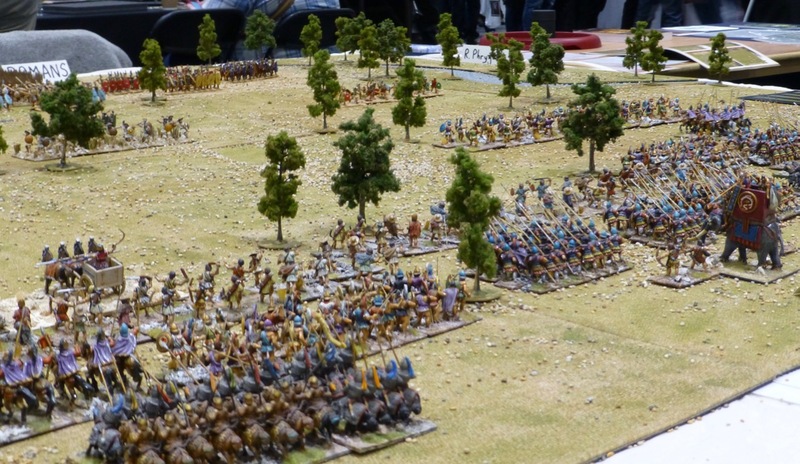 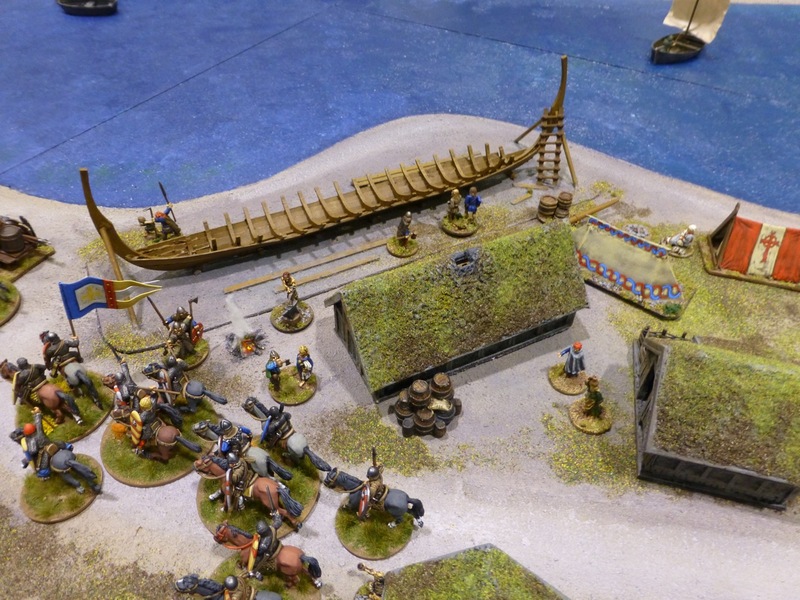 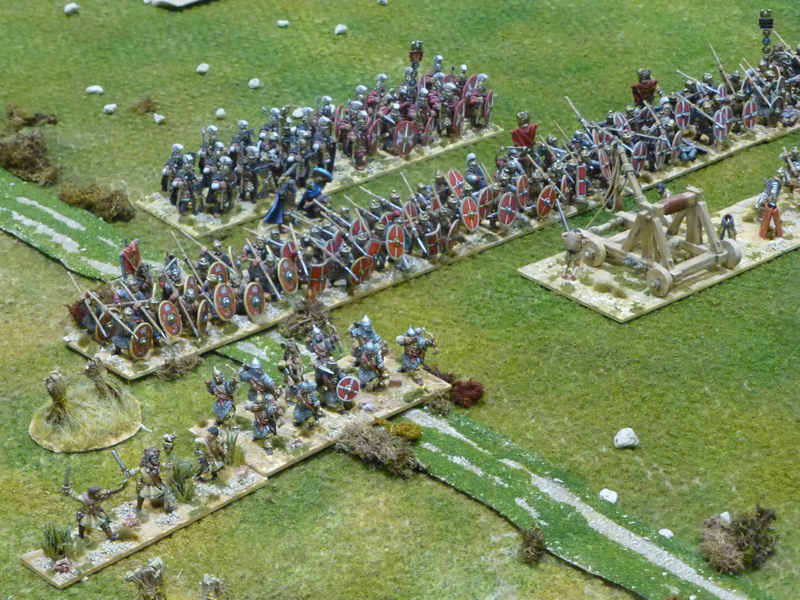 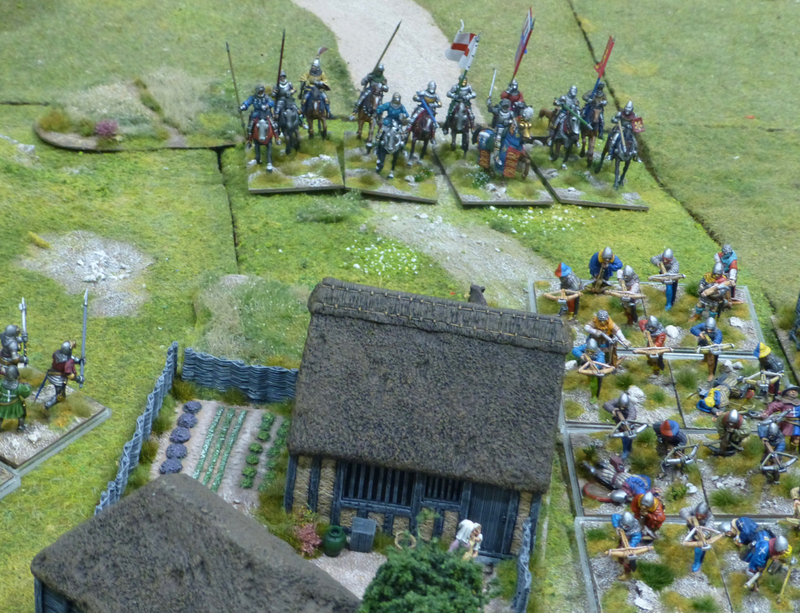 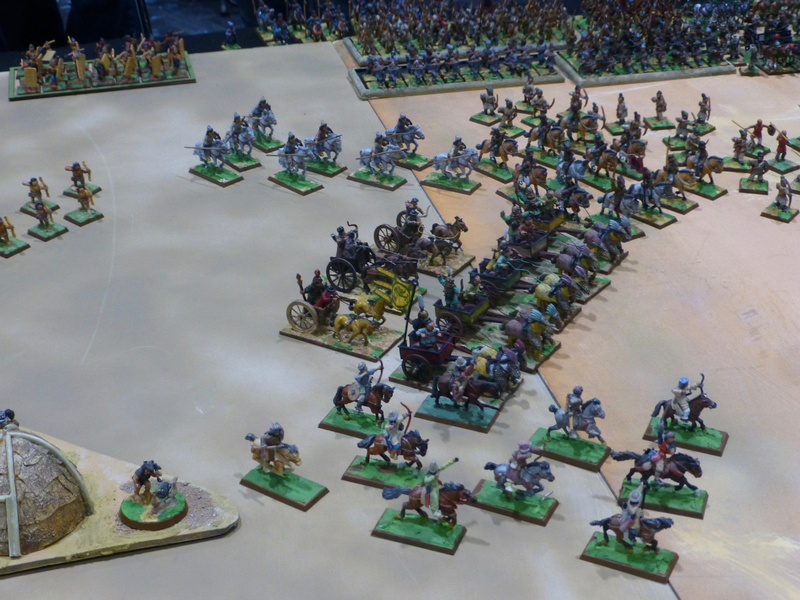 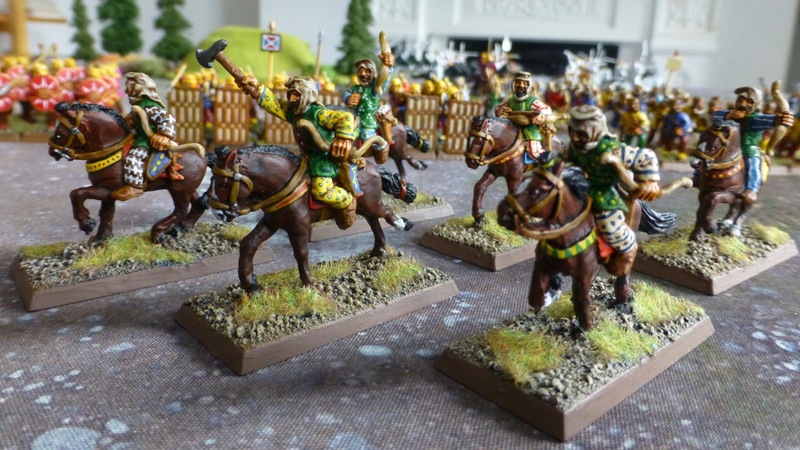 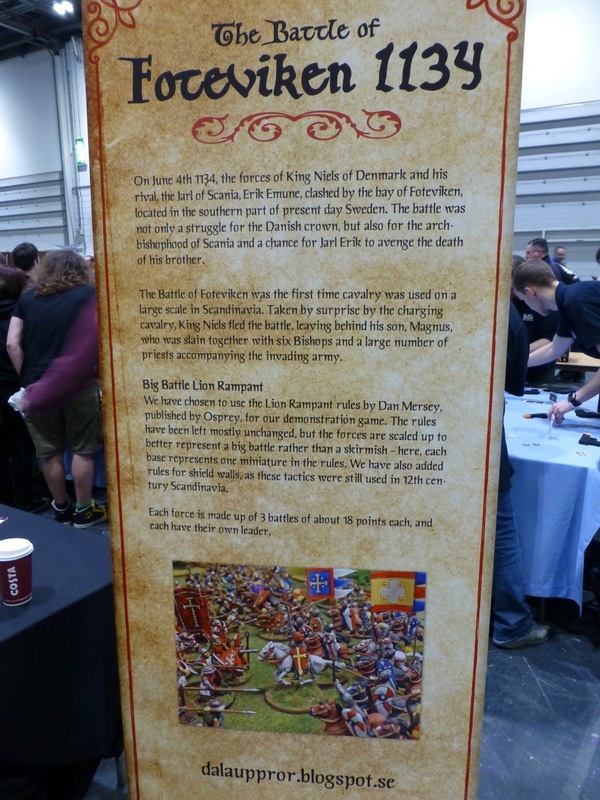 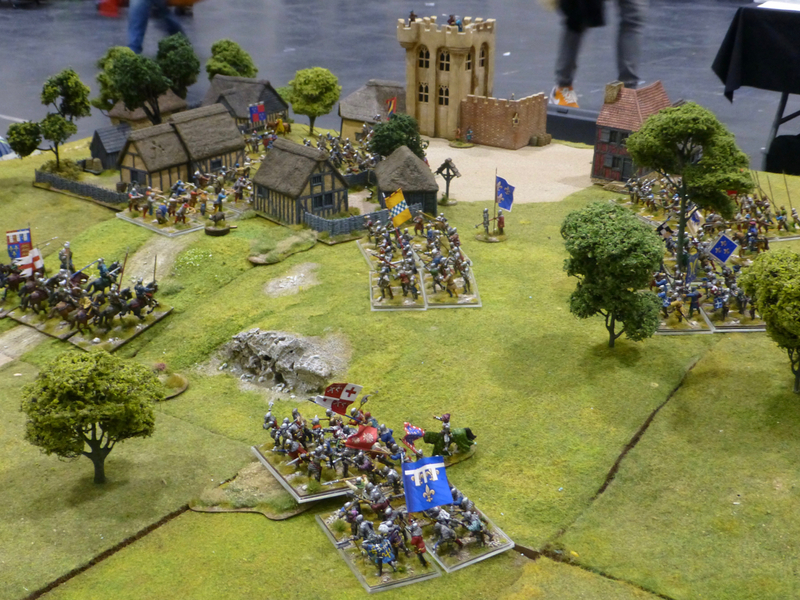 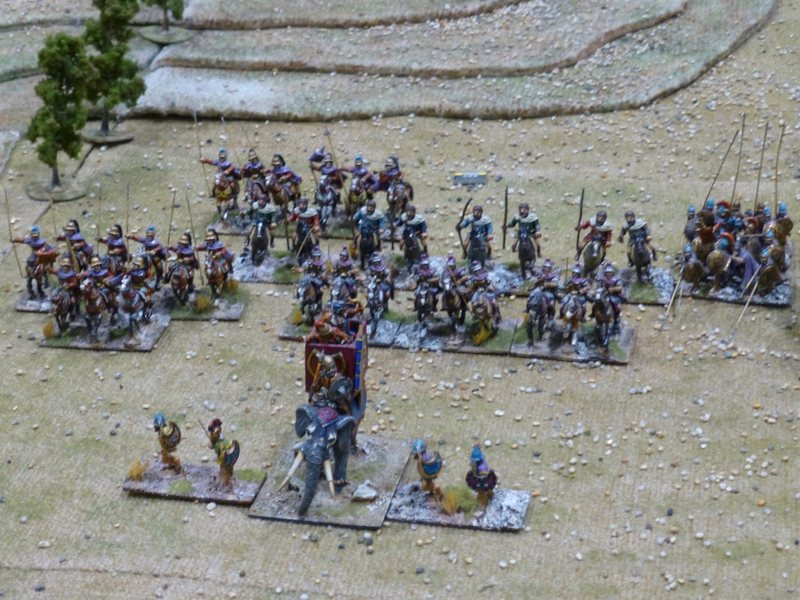 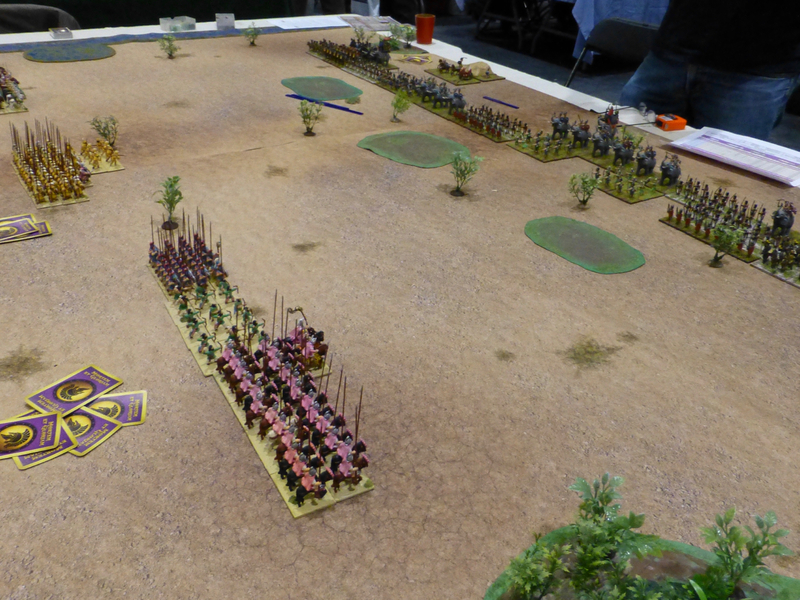 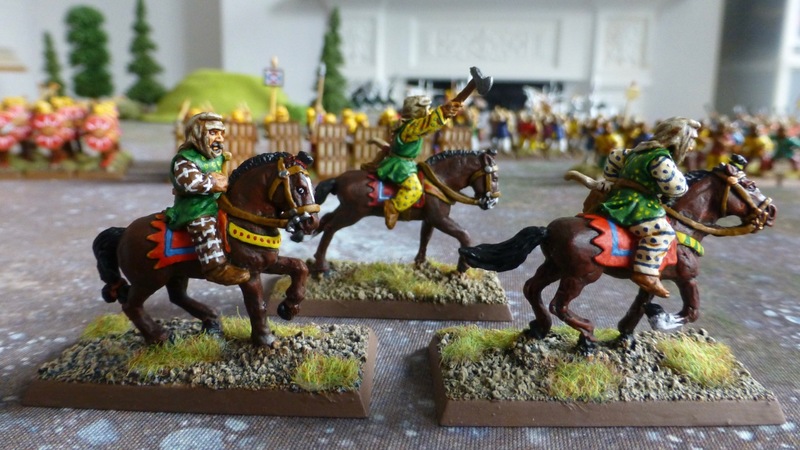 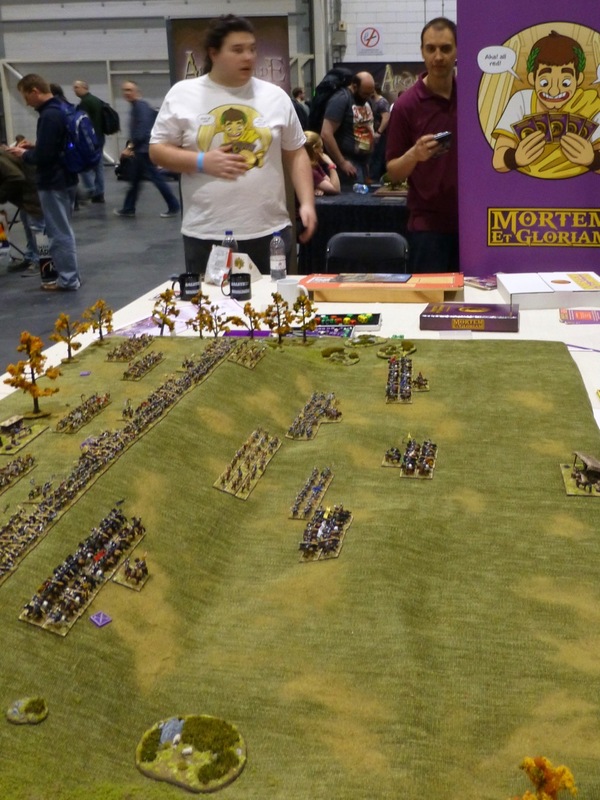 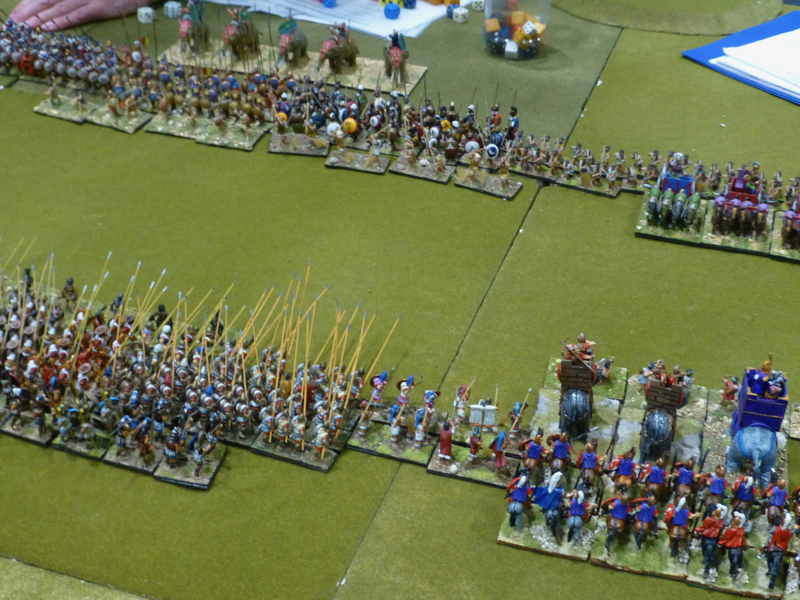 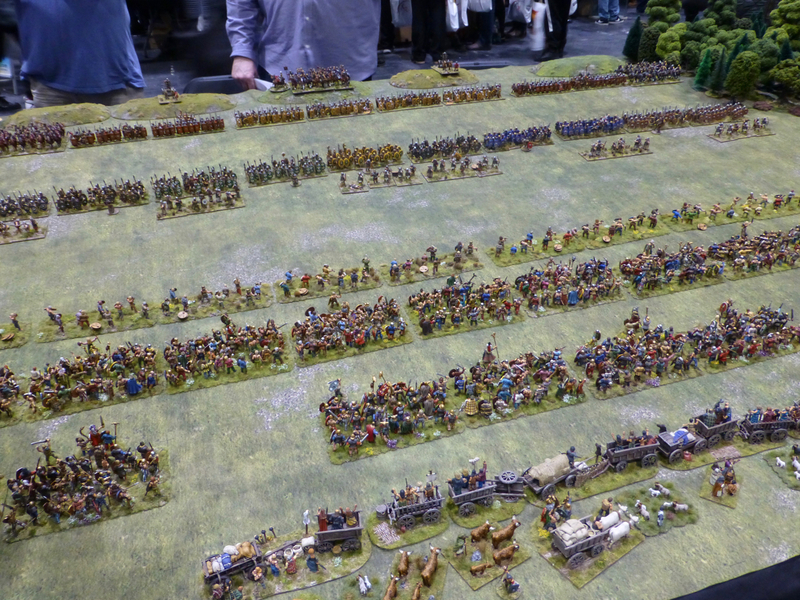 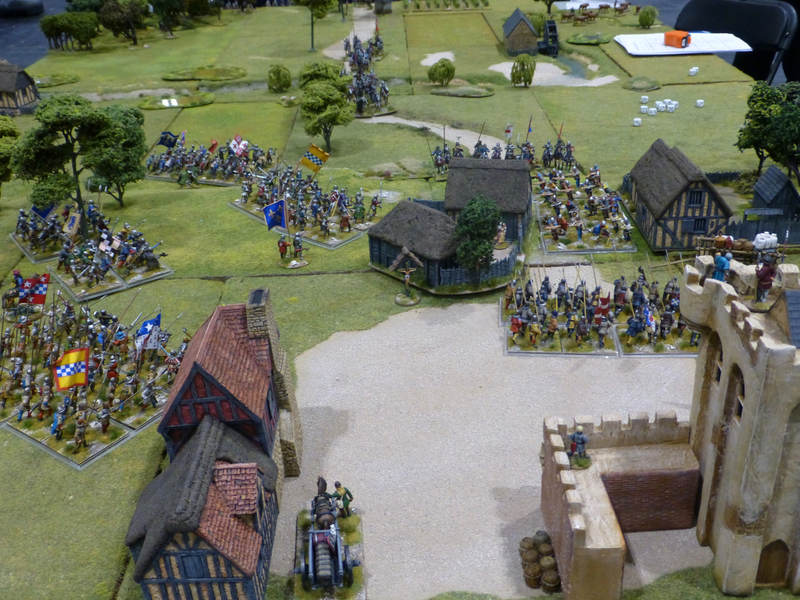 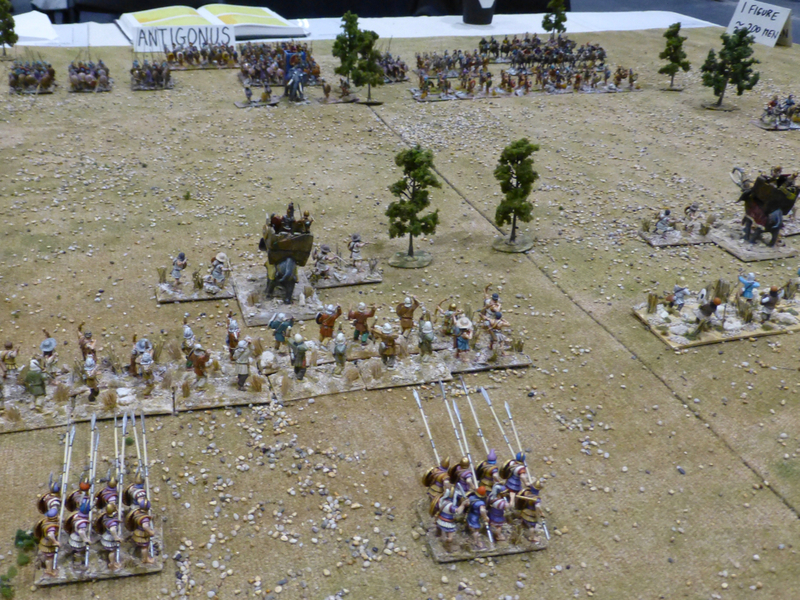 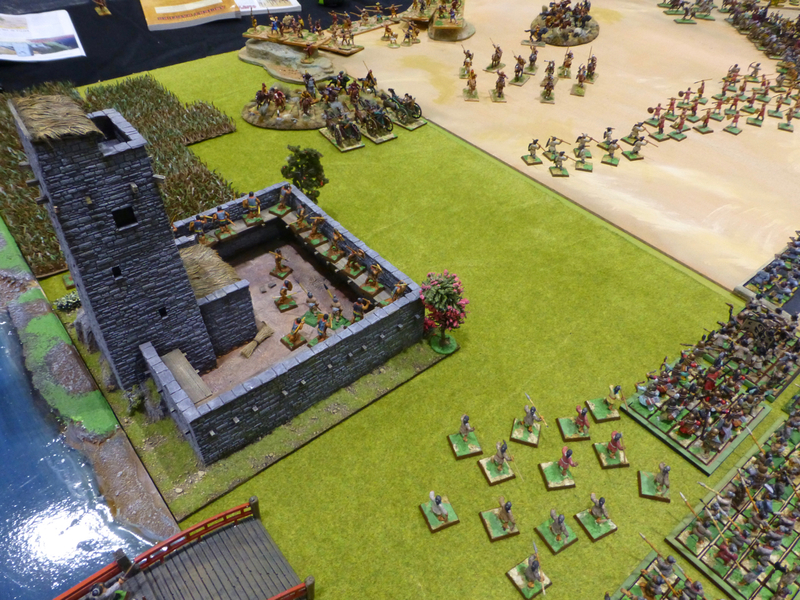 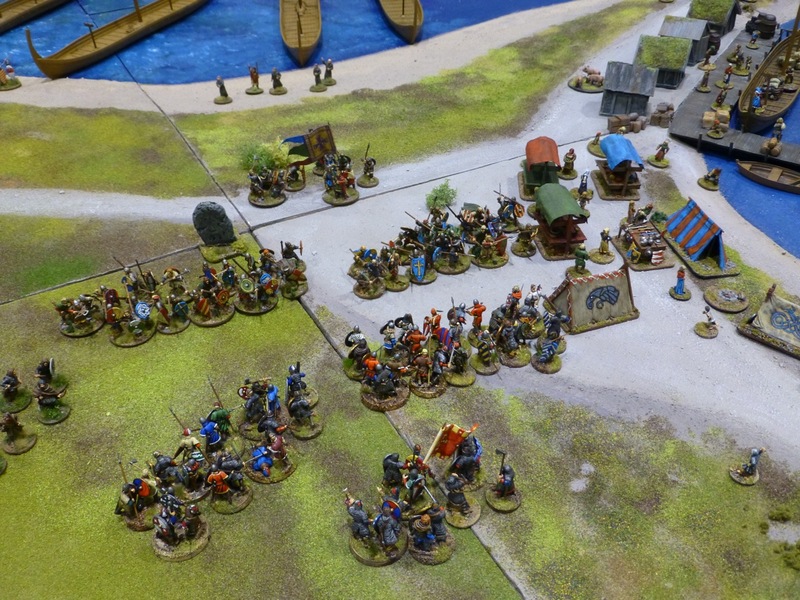 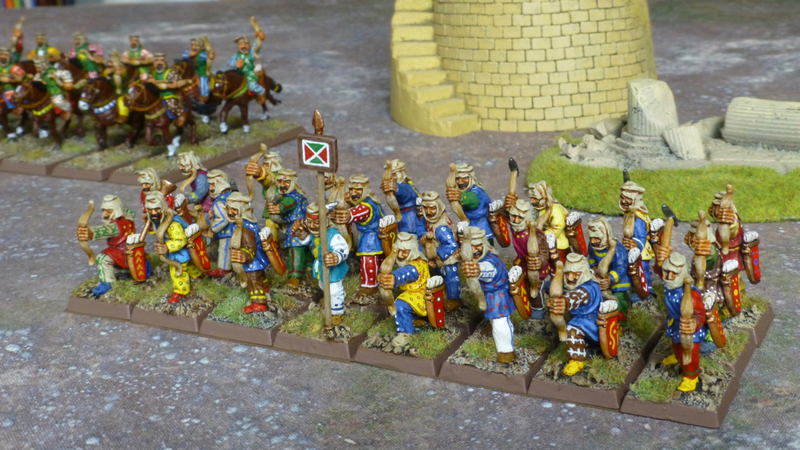 Donnington Miniatures were fielding Macedonian era troops as well in their demo game for Mortem et Gloriam. 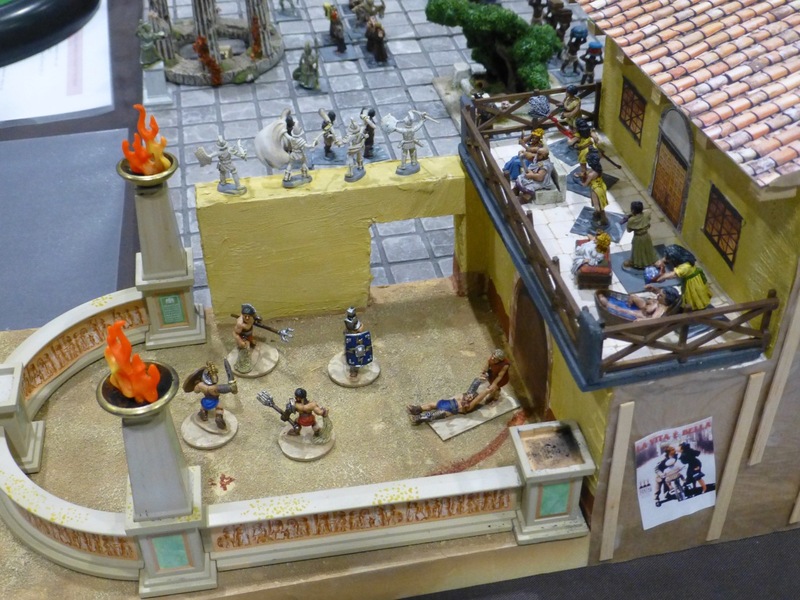 The starter set for Gangs of Rome was available on the day and there were some demo games held to introduce new players. 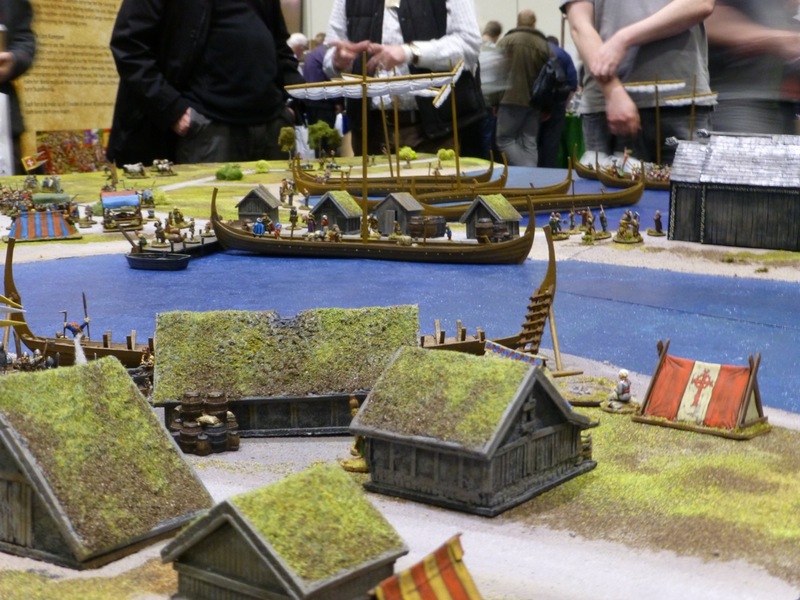 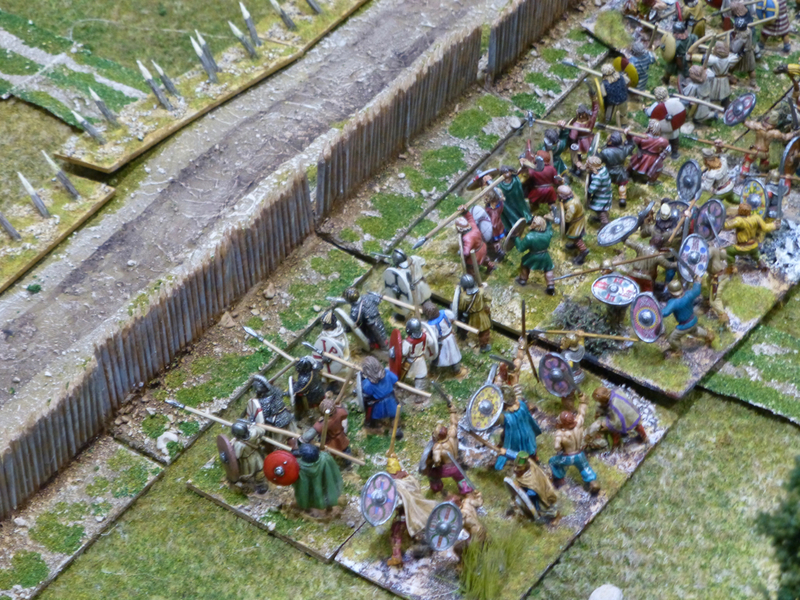 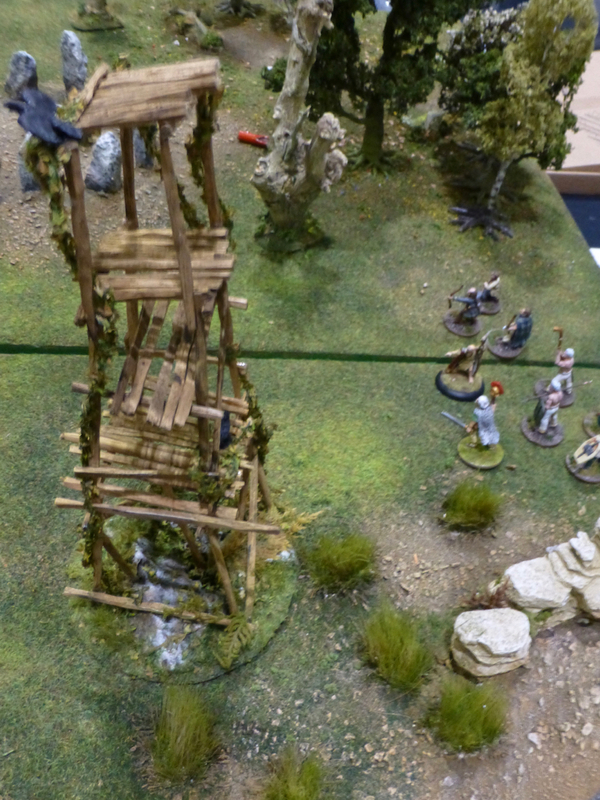 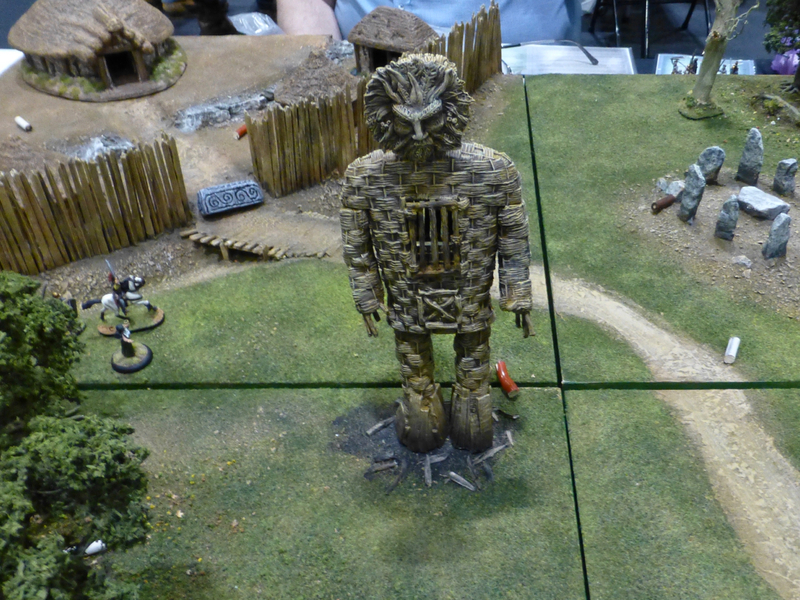 Wargames Illustrated put on ‘Druid’, seeing Celtic warriors do battle in a semi-mystical setting. 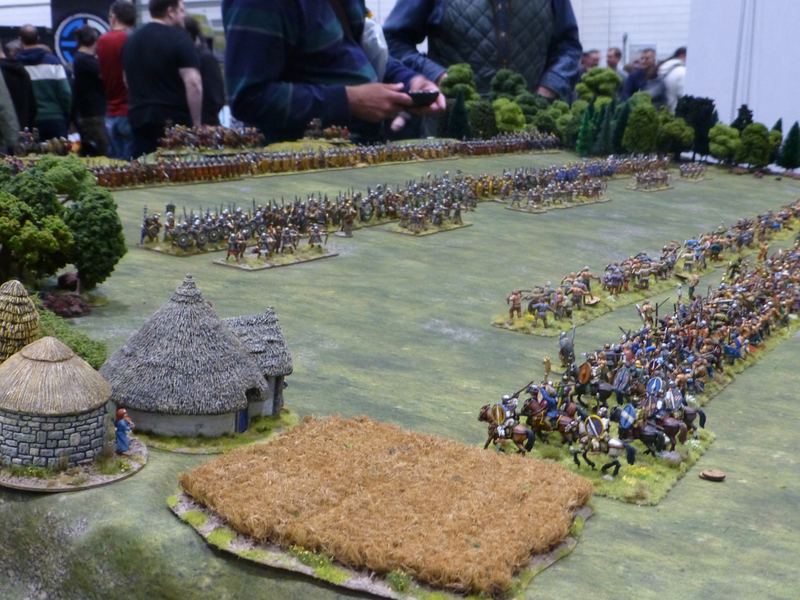 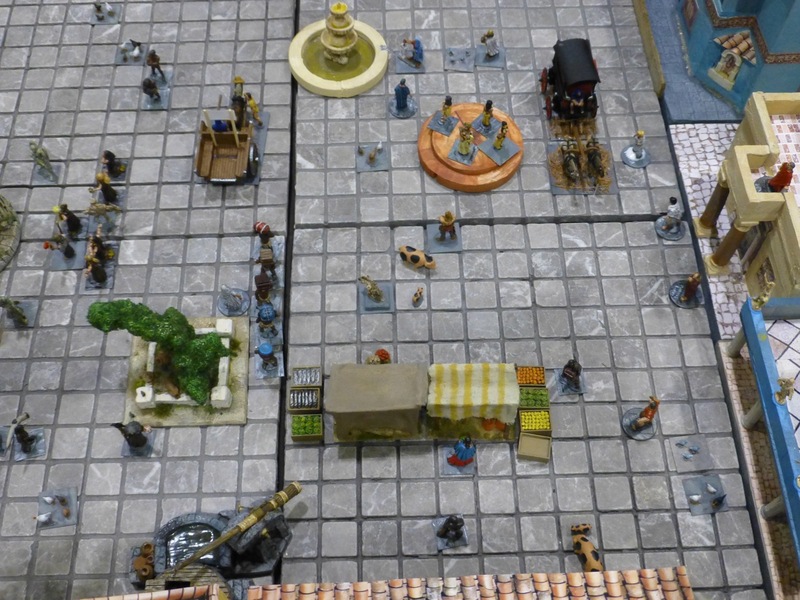 Several demo tables for Saga were obligatory, here a dark age fight in full swing captured by undeadhighelf.